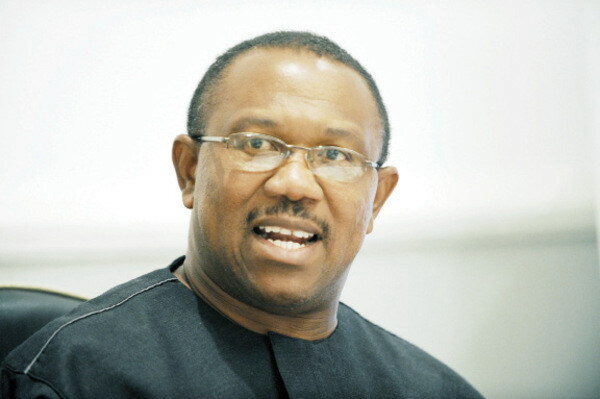 Recent past Governor of Anambra State, Peter Obi has frowned against indiscriminate award of titles by churches to worshippers, saying that it was at variance with the essence of fellowship. Obi made the remark during the pastoral visit of the Catholic Bishop of Awka Diocese, Most Rev. Paulinus Ezeokafor, to the Basilica of the Most Holy Trinity, Onitsha. He said that the development was leading people to unholiness, insisting that churches must retain their pious orientation. He reminded them of the scripture which says that even though in the world, the church should not get consumed by the ways of the world, forgetting its primary essence. ”The Church should aid our spiritual growth; but today, our people delight in creating one title or the other for reasons other than holiness, which appears not to be in sync with the essence of the Church. “Now, what we witness is the creation of one title or the other such as “Duke”, ” Ide”, “Ambassador”. “Some are designed to attract support for the Church, but I believe that whoever earnestly desires to support God’s work does not need a title to do so. “Most often, this ends up creating division among the people of God,” Obi said. In a remark, Gov. Willie Obiano of Anambra, represented by the Secretary to State Government, Prof. Solo Chukwulobelu, said the government would create the enabling environment for education to thrive. Obiano promised that the road leading to Peter University, Achina, in Anambra owned by the Catholic Church would be made motorable. Earlier in his homily, Paulinus Ezeokafor, urged Christians to invest in God’s vineyard, especially in areas that promote dignity of human labour, capacity building and character formation. He called for support in the building a citadel of learning where youths would be moulded for the good of society. The cleric said every child deserved basic qualitative education so that the child would be useful to itself, family, church and society. Ezeokafor said Peter University would be the first university owned by the Catholic Church in the state.